The casual gaming market will be worth $8.6 billion by 2014. As this market continues to expand, more developers dive into the market and come up with new, exciting and original ideas. One particular casual games genre, hidden object games, have seen a particularly good crop of new releases geared for a variety of audiences. When you download hidden object games, you are introduced to a world with a continuous story, or individual, segmented stages. 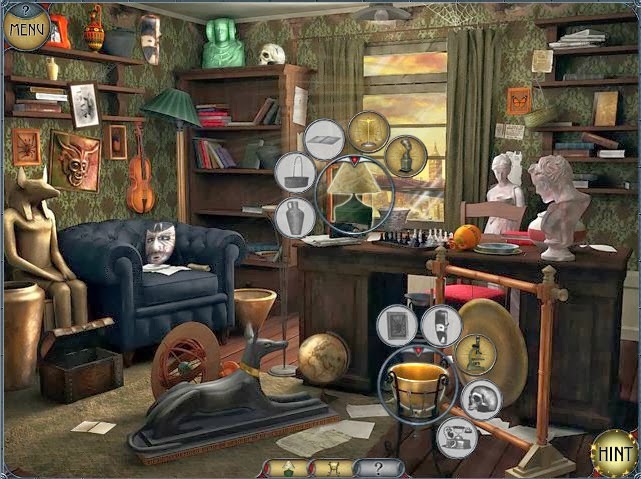 The game play is similar throughout all hidden object games. You're looking for items on the screen to further your quest, gain points or simply to match up objects. This genre is particularly interesting because it encompasses such a wide range of engagement. Some games are suitable for younger players, as there isn't much of a storyline, and the game play is focused on the objects. Other games are designed for mature audiences and have an adventure game appeal. The game "100% Hidden Objects" is about as simple as you can get with the hidden object genre. It doesn't have stories or other complications. It simply presents you with a playing board, hidden objects and a directive to find them. If you want to play something without a lot of thought, this is one of the best choices available. "Hidden Object Crosswords" isn't your typical hidden object game. Instead, you need to find clues that help you get through crosswords puzzles. If you can't find the clue, it's going to be difficult figuring out exactly what you're supposed to put in the blocks. "Azada: Elementa" has plenty of fantasy elements in it, but it's not so heavy on the story that you have to concentrate extensively to figure out what's going on. Instead, it provides some story trappings, but focuses you almost entirely on finding hidden objects so you can track down the magical elements. "Redemption Cemetery: Salvation of the Lost" has an intense title for an intense game. This is a complex and fascinating journey with fantastic art direction, a story involving supernatural beings and a need to bring three spirits the satisfaction they never received in life. While the story is intricate and revolves around an interesting world, it is not the most complex plot in the world, allowing you to jump in and out of the game without getting lost. "Big City Adventure: Tokyo" continues the success of this series. You aren't dealing with epic plots, but you are wandering around Tokyo and taking in all of the sights, with the occasional hidden object to check out along the way. "Enchantia: Wrath of the Phoenix Queen" places you in the middle of Enchantia with plenty of great art direction to go along with it. You are working against the Phoenix Queen, trying to thwart her evil plots before she takes over the land. You look through gorgeous landscapes to find all of the items that you need to succeed.